Diane Stanley’s lyrical writing and Jessie Hartland’s vibrant illustrations capture the spirit of Ada Lovelace and bring her fascinating story vividly to life. Jessie Hartland has painted murals at a Japanese amusement park, designed Christmas windows for Bloomingdale’s, and put her mark on ceramics, watches, and all sorts of other things. 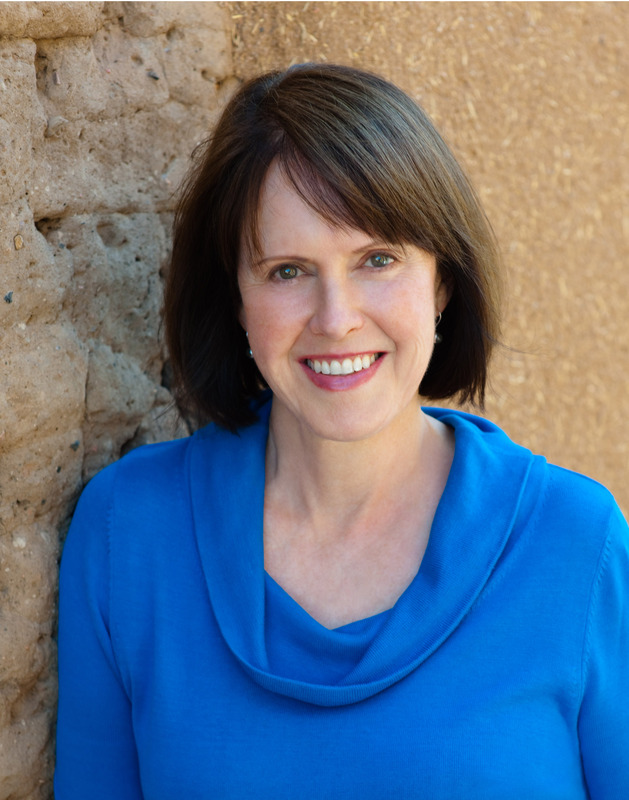 She is the author and illustrator many nonfiction titles for young readers, including How the Dinosaur Got to the Museum and Bon Appetit! The Delicious Life of Julia Child. 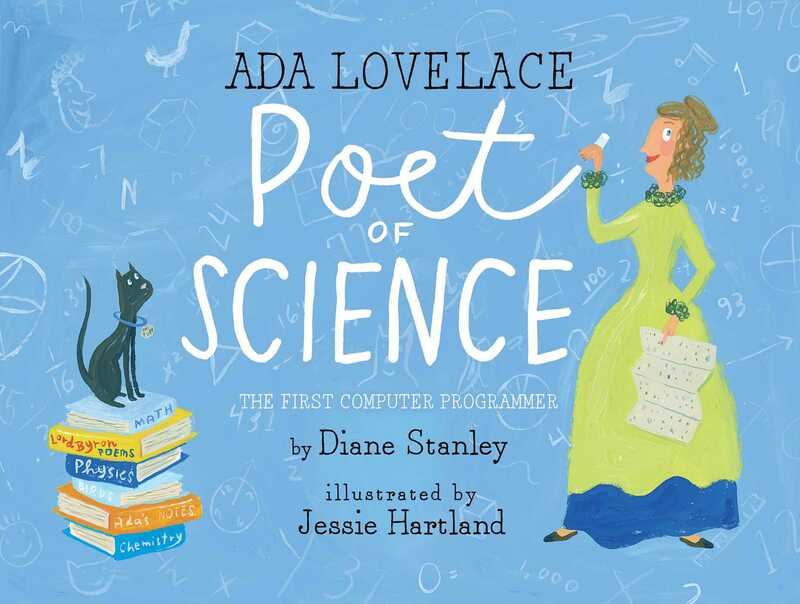 Her collaboration with author Diane Stanley, Ada Lovelace, Poet of Science, was designated an ALA Notable Book, among many other accolades, and her illustrations were praised as “full of wit” by Booklist in a starred review. Jessie lives in New York City. Stanley has been delighting and informing readers with her biographies for years, and here, her considerable talents are once again on display. . . . Hartland’s charmingly busy art, reminiscent of Maira Kalman’s work, is full of wit—calculations sweep across pages—and meshes well with Stanley’s inviting text. This is a solid addition to STEM studies, yes, but, also a great choice for any biography lovers. Complementing the clear prose, Hartland's whimsical gouache pictures portray white figures with coral lips and in period dress. Gestural brushstrokes loosely evoke landscapes and interiors, yet scores of objects—from book titles and period toys to an omnipresent cat—provide plentiful visual interest. Pithy narrative plus charming pictures equals an admiring, admirable portrait of a STEM pioneer. Stanley delivers a breezy but insightful overview of the curiosity and determination that drove Ada Lovelace (1815–1852) to pursue her intellectual passions, tracing her childhood dreams of flight, her friendship and working relationship with Charles Babbage, and her pioneering programming work in service of promoting Babbage’s Analytical Machine. Hartland keeps the mood light in loopy gouache cartoons that humorously portray Lovelace as the creative and intelligent product of parents “as different as chalk and cheese”; in facing family portraits, the “rational, respectable, and strict” Lady Byron stares uncomfortably at her husband, Lord Byron, who looks rakish in multiple senses of the word. An author’s note and timeline conclude a thoroughly engaging look at a trailblazing mathematical mind.